Wondering how to spend the weekend if the weather does you a favor and is nice ever again in the future? Look no further as we’ve gathered for you some of our favorite cafes and restaurants by the water; because, what’s a better summer setting than this? 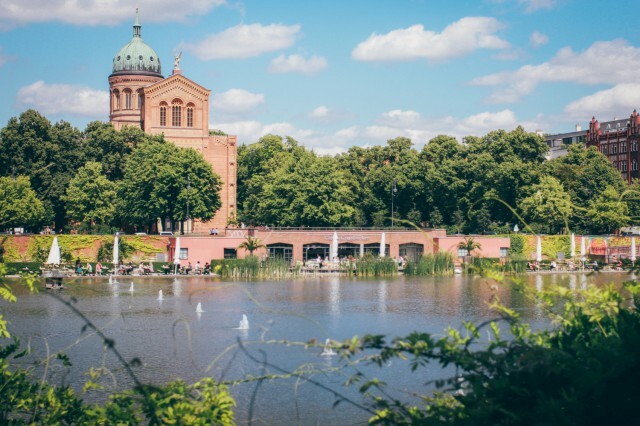 Whether a lake or a riverside, these places are absolutely perfect for summer strolls, and God knows how we miss those. So next chance the weather gives you, grab your friend, your boo, your mom, and be where life is nice! 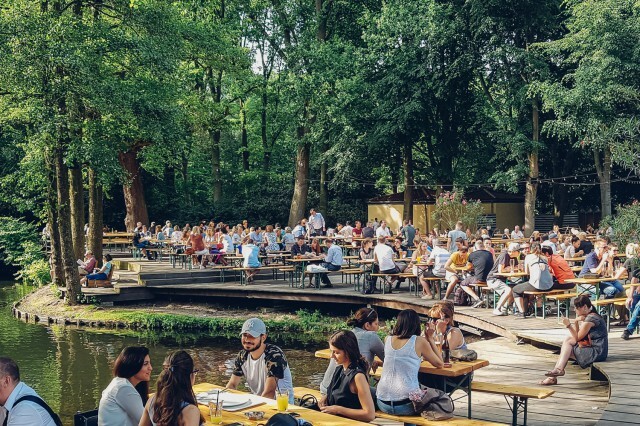 You will find us there sipping on our beer, letting our toes catch some vitamin D.
Freischwimmer, right by Landwehrkanal, is one of the oldest restaurants of the area. Providing space indoors and outdoors, you can actually visit with any weather, although the outside is clearly lovelier with its wooden decking over the water making you feel like you’re in a boathouse. The food selection is simple and yummy, and on Saturdays they hold a brunch buffet.Especially when the sun is setting the atmosphere in Freischwimmer is incomparable. 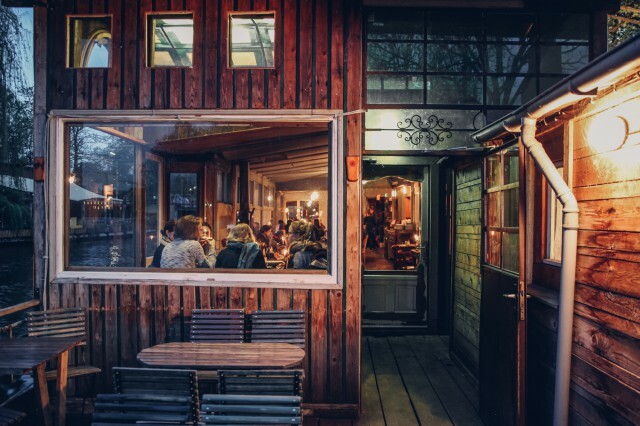 Holzmarkt, the quirky little village that opened its doors on May 1st 2017, is the descendant of Bar25 and Kater Holzig. 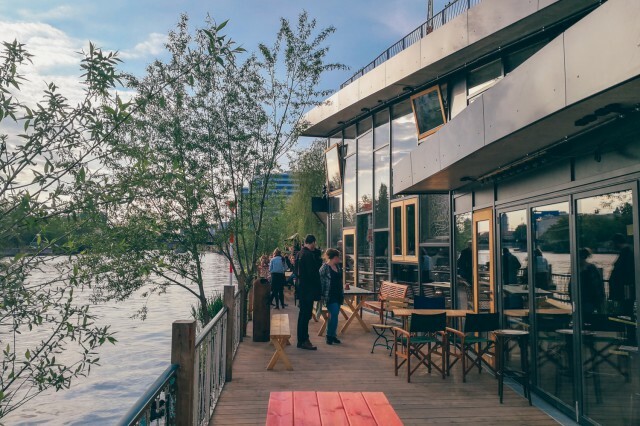 A space dedicated to young creatives and alternative lifestyles, to be a “place of dreams and unicorns, and dogs without a leash”, it offers a wooden deck you can chill on, with several food booths as well as two restaurants – Fame and Katerschmaus, both directly at the water front. The atmosphere is very unique, best enjoyed with a beer and a slice of pizza. 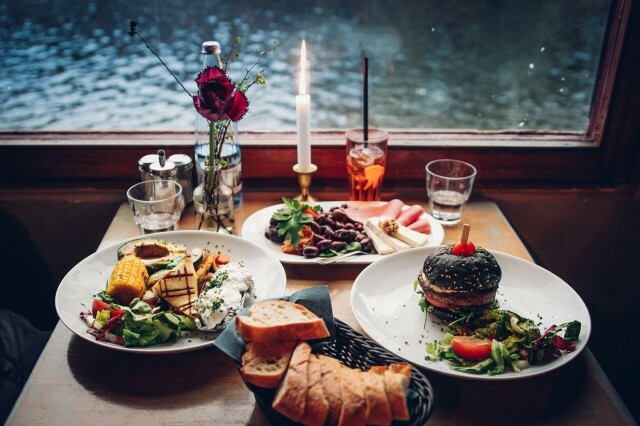 Hafenküche, directly on the shore of the river Spree, has something for all tastes. 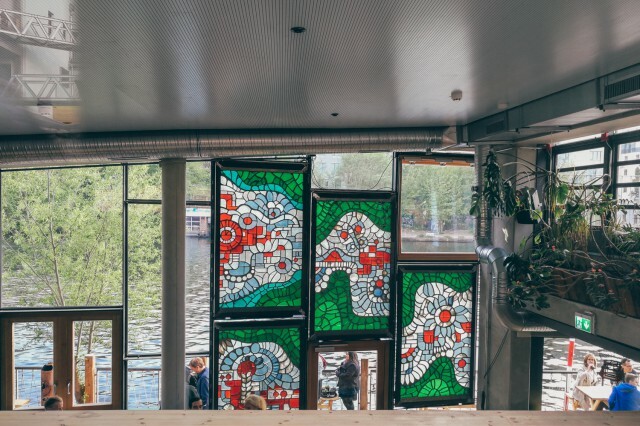 With a lovely view of the Spreepark and Treptower Park , the little canteen offers coffee and baked rolls in the morning, delicious lunch and dinner that can be enjoyed either on the terrace with the lovely view, or near the fireplace. 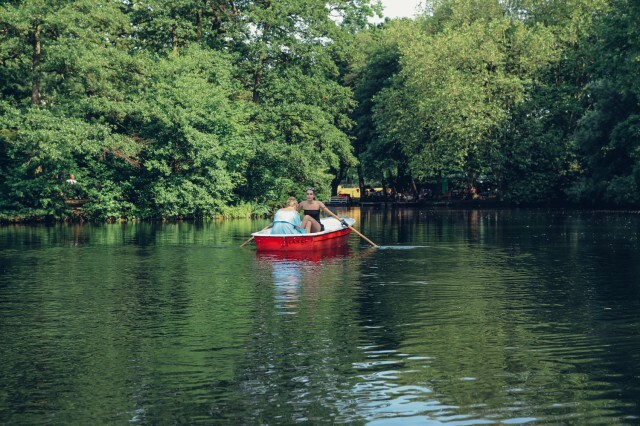 You also have the chance to rent little boats with a picnic basket and enjoy your meal in the water! Can you think of a better way to spend a sunny day? I can’t. Right by a dreamy little lake in Tiergarten lies Cafe am Neuen See. You can enjoy your meal at its restaurant or its beer garden, overlooking the water. The string lights and lakeside tables create a very romantic atmosphere right out of a fairy tale that you have to experience! You can also rent a boat there and enjoy some paddling in the lake. If you are lucky, you’ll catch a band playing there too. 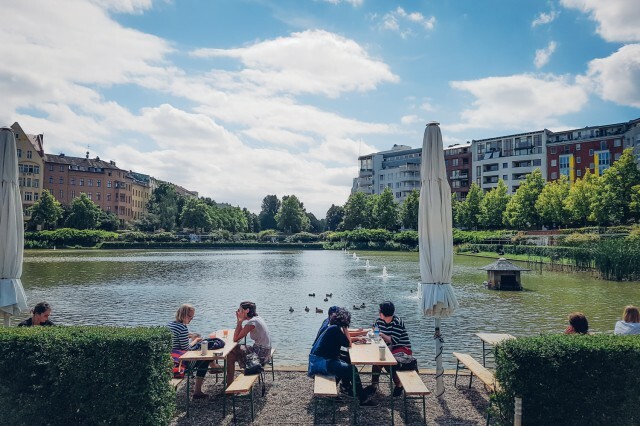 Cafe am Engelbecken is a peaceful oasis in the middle of noisy Kreuzberg, right by the pond Engelbecken. It offers coffee and a cafe style food menu, that can be enjoyed on the lovely terrace with the amazing view of the water, the ducks, swans and turtles inside and the lovely park behind it. It has a cozy space inside for the rainy days, and in the winter the pond freezes and you can do ice skating there! But summer nights on the terrace, with a cocktail and the reflection of the moon in the water, is all we need right now.